Fresh from being told that the HTC Desire HD won't be coming for more than £35 a month on contract, T-Mobile has decided to offer it on a £40 a month deal. 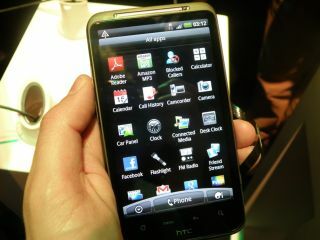 The new HTC Desire HD has been given a UK release date of October by T-Mobile, along with the high price tag. There's no information on any further pricing details, with 'more details to be revealed closer to the availability of the phone'. The HTC Desire HD has the highest specs of any phone in the Taiwanese manufacturer's line up, with a 4.3-inch screen and 8MP camera with HD video recording. But that doesn't really explain the higher price tag over at T-Mobile, so we'll have to wait and see if Vodafone et al follow suit.